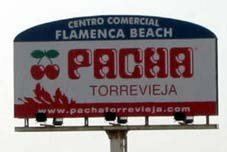 Guide to the Playa Flamenca Commercial Centres. In Spain the shops, bars, restaurants and so on are often put together in Commercial Centres, sort of like a shopping mall. They often have a clear identity including a name and logo. There are several local ones in Playa Flamenca and I have included details for them. There are details of the businesses in Flamenca Beach CC, La Mosca CC, Citrus CC, the new Zenia Mar CC and the Playa Flamenca beach area. Also La Campaña Commercial Centre and Punta Prima. Details of the commercial area around the Playa Flamenca Town Hall and Mercadona can be found here. Guide to the Shops, Bars and Restaurants in Avenida Parana, Playa Flamenca. In addition, those round the corner in Calle Niagara. San Antonio - building yet to be finished - click here. Have now added information about some of the businesses in La Zenia and information on the La Florida Commercial Centre. And now also Via Park 1 and 2 Commercial Centres. For Flamenca Beach CC, La Mosca CC or Citrus CC (including Horizonte) click on the required logo above. For information on the commercial premises around the Playa Flamenca promenade, click the relevant photo above. 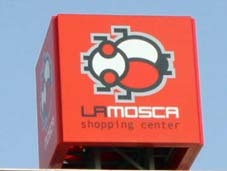 For details on La Campana and Punta Prima shops along the N332 click as required above. For information on the Mercadona centre near Playa Flamenca Town Hall and surrounding premises, click above. For information about the new commercial centres - Punta Marina at Punta Prima and San Antonio at Playa Flamenca, click as required above.